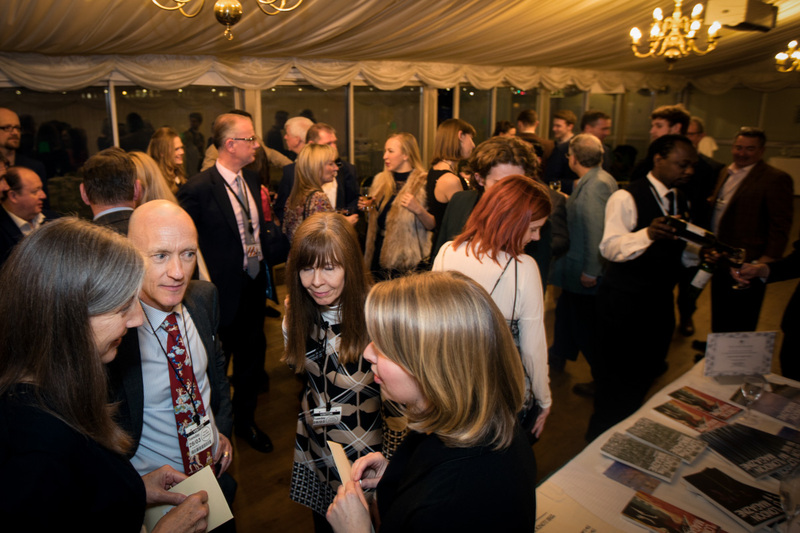 On Tuesday 28th March 2016 The London Magazine awarded the winners of the Short Story Competition 2016 during a drinks reception on the House of Commons Terrace. The prizes were presented by the guest of honour, Stanley Johnson, who praised the pleasantly unique and vastly contrasting stories. Judge Erica Wagner was also in attendance. We would like to thank all applicants to the Short Story Competition 2016. The quality of work we received was remarkably high and entries were read with avidity and enjoyment by judges and The London Magazine staff alike. We look forward to holding the competition again in 2017. Thank you all for coming to The London Magazine’s Short Story Prize-Giving at the House of Commons. It has been a sombre week at Westminster. We mourn, and honour, the dead and the afflicted and pray for them. The TLM is a cultural, not a political magazine but we are absolute that parliamentary democracy is good for culture. At its most basic level it is simply the ability of a large and registered electorate to dispose of one government and choose another. As Keats might have said, negative capability. We should not make many higher claims than this but when we look at other events this week, in Russia, these negative claims race towards the positive dial. And our present grief at Westminster reminds us sharply of the connection between culture and politics. The dead inadequate man, who choose the most symbolic river crossing, and the most symbolic national building for his assault was not seeking gain. He expected, I imagine, to die. He was seeking identity. He needed to leave a bloody thumbprint on the sadly blank page of his existence. The unwritten poem is the sad thing; and the dangerous thing. W. H. Auden wrote a terrifying essay called “Romanticism from Rousseau to Hitler”. Our political systems do not give us an identity. They are designed to give the freedom to realise one as vibrantly and fruitfully as we can. Now let’s turn to celebration. 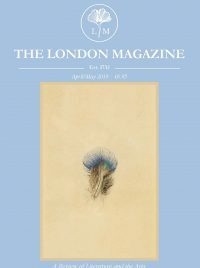 TLM continues to retrieve its old reputation as the place where new and young writers can appear beside established ones. We have a warm and generous patron, our own dear Lord Gnome, Burhan Al-Chalabi, has been a great friend of this, his adopted country. It has given him the freedom to forge an identity, to prosper and to pay back. He is happy to provide hospitality on his own. He comes from the most hospitable division of humanity, the Arabic speaking world. But the magazine does not, and must not, depend on him alone. So be sure to pick up, even to buy, your copies on the way out. I have tried to get hold of the Sergeant-at-Arms to lock the doors until you have all done so but I couldn’t reach him. Buy your copies, take out subscriptions. Give these to your children and god children. We do appear online, which is fine, but a disappearance of the printers will do untold harm to culture and civilisation. TLM does not trouble this building for public money. It does trouble, and it should trouble, the reading public. It wants, for the health of our social democracy, to extend that public. My fellow Irishman, fellow poet and friend, Steven O’Brien is the Editor. Derwent May, who edited the much-missed BBC Publication, The Listener, and I are honorary editorial advisors. Abi Lofthouse, Katie Yeomans and Lucy Binnersley, our Assistant Editor, run the show. And also – here I may cause a mass walk-out for political incorrectness – adorn the office. Vishaile Patel and Raj Tapa keep us fiscally pure and the show on the road. When I worked for the Tories I was liberal to the point of hysteria. Gay marriage in Westminster Abbey would have been fine with me. I am a High Anglican and where would that denomination be without a dash of gaiety. But I was always a fiscal Conservative. Spend more equals tax more. Keynes’s deficit finance was an intelligent response to an emergency, not a way of life. And as for quantitative easing… well, don’t get me started. I shall therefore end, as I began, with celebration and thanks.